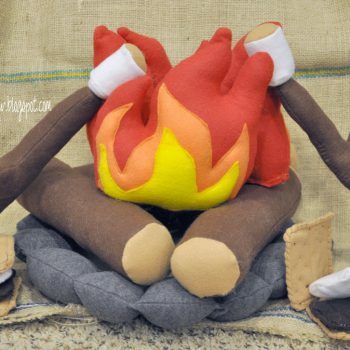 Everyone loves a bonfire in the fall. 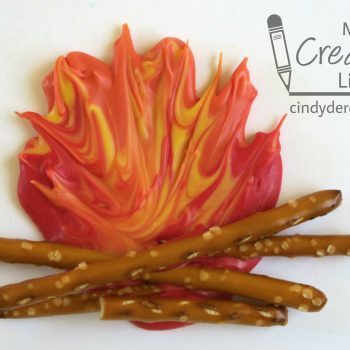 Follow the steps to craft one with your kids! 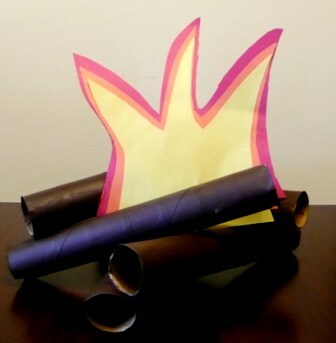 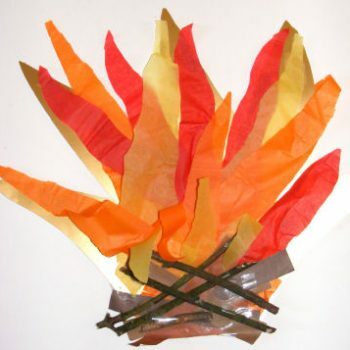 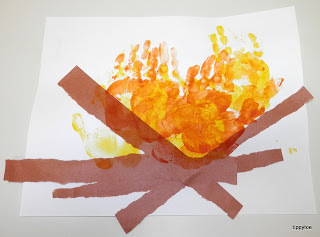 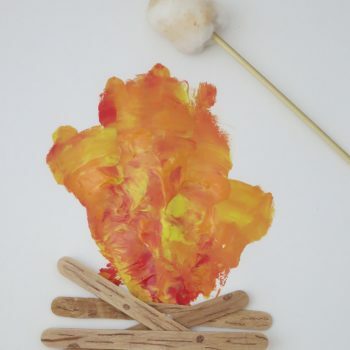 Use construction paper and handprints to make this campfire craft. 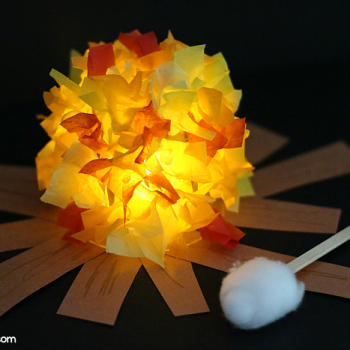 It’s fun, easy, needs few materials, and each is one-of-a-kind. 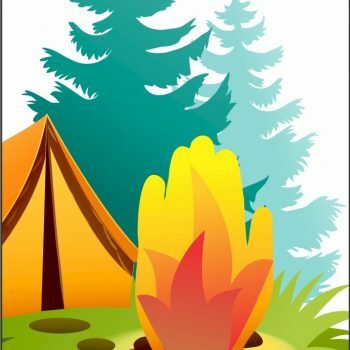 Planning an indoor campout with the kids? 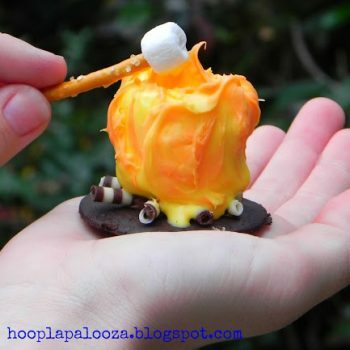 This delicious campfire marshmallow cookie is perfect for any camping-themed party! 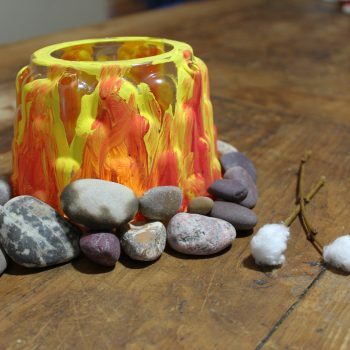 Too Hot to go outside? 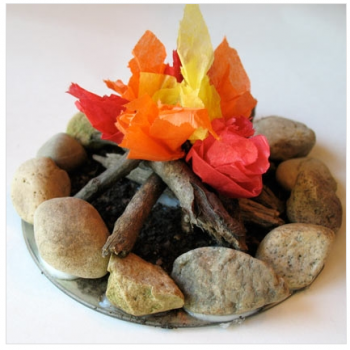 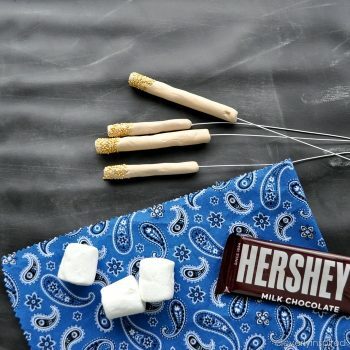 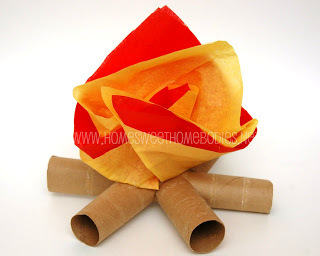 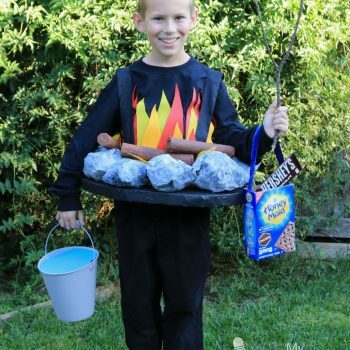 Make this easy campfire craft and have an indoor camp-out… the kids will love it!